Learning a new language can be a bit difficult for many people. However, there are simpler ways that one can learn a new language and grasp it quickly. When you learn a language, the first step is to be familiar with its alphabet. When children are taught English, they are first taught with the alphabet, e.g., A for apple and C for Cat. The same applies to Hindu. One needs to learn the Hindi alphabet first. The following is a lesson on the easy way to learn Hindi alphabets. 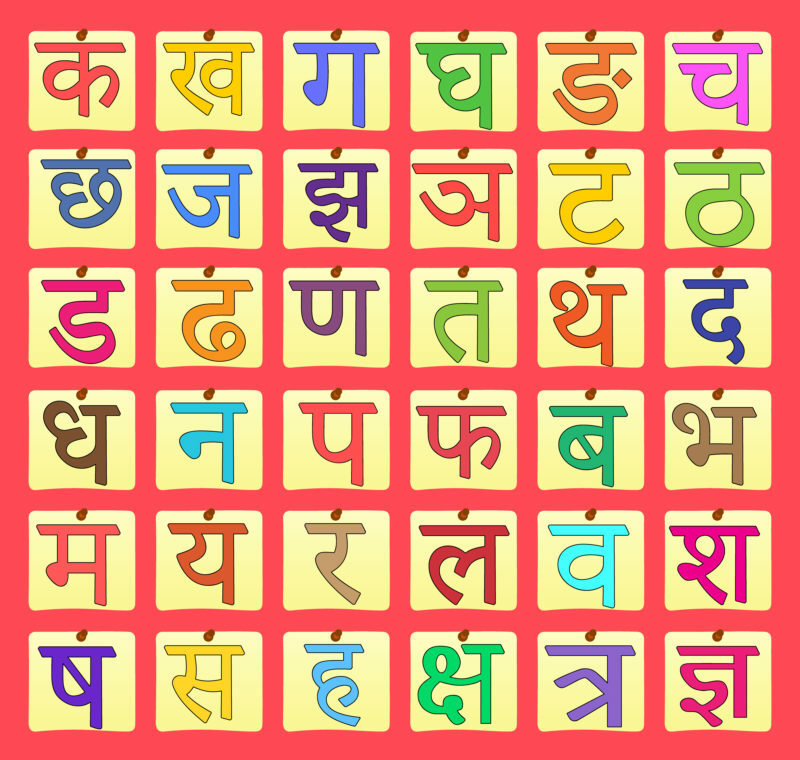 The alphabet in Hindi has thirty-six consonants and twelve vowels. Hindi is written from the left towards the right which is the same as the English language. The Hindi language is written in a script called the Devanagari script. The 12 vowels and 36 consonants of the Hindi language have the same pronunciation as the English one. Therefore, it is an easy way to learn the Hindi alphabet fast. Many people find it difficult pronouncing the Hindi alphabets and using it in sentences. The following shows one how to learn Hindi alphabet fast. Learning the Hindi alphabet is not something that can be done in one day. Take your time to identify with each vowel and consonant. It is recommended that one learns five letters each day. This is an easy way to learn Hindi letters and will benefit one greatly in the end. A maximum of ten days is enough to master the Devanagari script. Patience is the key to successfully learning the Hindi alphabet. It may take a few more lessons to grasp the pronunciation and the alphabet, but in the end, you will learn. If one is too impatient, they may end up not learning anything at all. The last rule on learning how to learn Hindi alphabet fast is to practice and practice. How did we come to learn English? We were constantly practicing it by speaking it throughout the day and night. The same case applies to learn the Hindi alphabet. It requires one to constantly practice by mastering the script to perfection. The first step to learning Hindi as a language are learning the vowels vowels. It is important to learn the vowels first because the vowels are what lead to the consonants. Videos on how to pronounce the vowels can be found anywhere on the internet. When one combines the vowels with the consonants, they make the actual sounds that are used in the language. There is an easy way to learn Hindi letters and an easy way to learn Hindi alphabets by pronouncing them the same as some word pronunciation in English. One can find this on any tutorial on the internet. The highlighted parts are the Hindi consonants, and they are given in a sentence. These consonants produce twelve different sounds when a vowel is put behind them. This is known as Hindi Barakadhi. In Hindi, saying twelve is the same as baarah and thus the name barakhadi. From the above, it is evident that one can learn the Hindu language first as it is simple and not as complicated as people think. It is evident that to learn the Hindi language, one needs to grasp the Hindi alphabet first. Just like any other language, the alphabet forms the basis of everything. With the alphabet, one can learn how to pronounce words and form sentences because they have a grasp of what each letter is pronounced as. It is also essential that one knows what the consonants are and what the vowels are. Just like in the English language how a person knows the consonants and the vowels, the same case applies to the Hindi alphabet. Many people tend to find the Hindi consonants difficult to write and pronounce. It is essential that one learns how first to speak the language before writing. A toddler is not taught how to write first but how to speak first. Once you learn how to speak, the writing will be so much easier in the end. Therefore, do not struggle with the writing when you cannot even pronounce the word first. To begin to learn the Korean language step by step, one can begin with the Hindi Vowels and then the Hindi Consonants. The Hindi Barkhadi can be learned after one grasps the vowels and the consonants. It is, therefore, evident that learning the Hindi alphabets can be fast and easy if you stick to the basics that have been mentioned above. There are plenty of tutorials online that one can follow to get the grasp of the Hindi alphabet and they have more details. You can also take the route of attending online classes which make it much more convenient. As mentioned above, learning any language is easy if one puts in the time, effort and the dedication. This case applies to Hindu as it requires one to put in the effort and practice constantly. Remember that practice makes perfect and this is what you need to learn Hindi alphabets along with having enough patience.